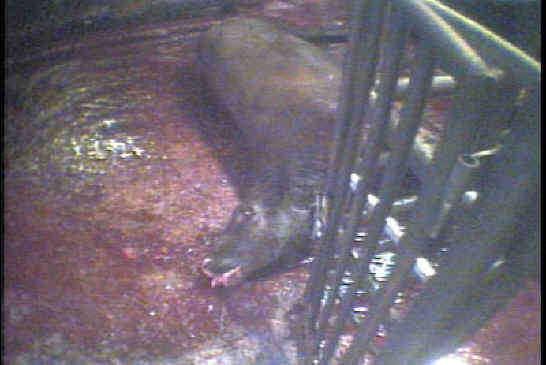 (Cattle Exploitation - Beef - 18) This a still from the undercover video taken by a PETA investigator at AgriProcessors kosher slaughterhouse in Postville, Iowa. 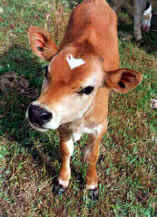 "Many cows were still alive and conscious when they came out of the tube and were slammed onto the floor. Their heads often hit the concrete with a sickening crack. I watched as one cow landed on his feet and started scrambling around with a shocked look on his face. The workers simply jumped behind their barricade and waited for him to collapse."